The month of May is synonymous with homeschool graduation. But, wasn’t it just yesterday that you were teaching your homeschool student the ABCs and 123s? And now your child is all grown up and headed to college this fall. Suddenly, it hits you that this is no ordinary end of the year—this year is homeschool graduation, a truly special occasion, and not just for the graduate! You’ve poured your life force into this child for 18 years, so graduation day is also about celebrating your accomplishments. In much the same way that you have personally designed the homeschooling experience, there is no right or wrong way to graduate your senior. For practical purposes, you’ll want to prepare a high school transcript and present him or her with a diploma—both of which can be done by using online tools available to Texas Home School Coalition members. 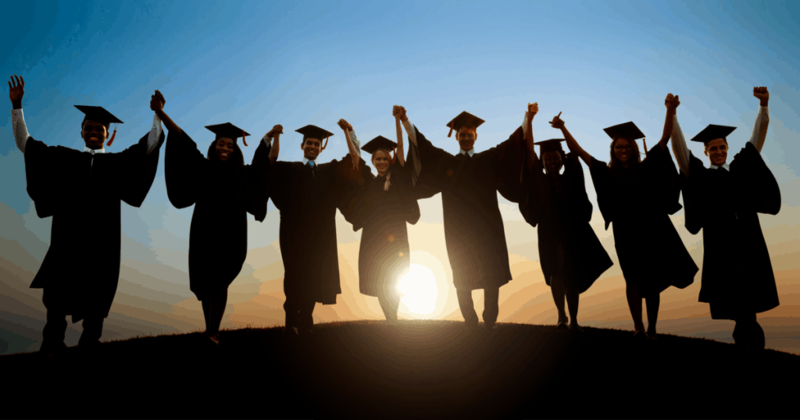 From creating a high school diploma to planning a homeschool graduation ceremony, when graduation time reaches your family, consider these simple steps to ensure that your student ends this season with success. By the time your student is ready to graduate from high school, you will likely have spent years planning, teaching, grading and recording your student’s progress. If your student is about to enter high school, take some time with your student and/or your spouse to review and chart the next four academic years. Which subjects will your student complete in freshman, sophomore, junior and senior years? Be flexible with your plan. For example, if a particular science class is offered at your homeschool group during your student’s sophomore year and your student had planned to take it during junior year, switch the junior year science to sophomore and take advantage of the opportunity! Graduation requirements will vary state-by-state. Check your state’s graduation requirements. If you live in Texas, check out Texas Home School Coalition’s High School and Beyond article. If your student is college-bound, incorporate the entrance requirements for their college or colleges of choice into your graduation plan. By fact-finding early in your student’s high school career, you will be well on the road to college admission before their senior year. Check out 30 signs on the path to college for homeschool students. Not all students plan to attend college after their homeschool graduations. Additional post-graduation options include joining the workforce, internships, apprenticeships and enlistment in the military. Specific to the military, classroom opportunities such as dual credit classes serve students seeking acceptance well. Alternatively, internship and apprenticeship opportunities do not always have entrance requirements, but most have an application process. A strong high school transcript complete with community and volunteer service is crucial. Define your grading scale. Colleges want to know what standards you place on your grades. Does a score of 90-100 constitute an A or another score? List courses by semester. Make your transcript easy to follow by dividing classes into semesters and years. Include test scores. Be sure to list your student’s SAT and ACT scores. List areas of service. Be certain to note any community service or volunteer hours. Finally, if your student chooses to have a homeschool graduation ceremony, enjoy embracing the originality of your student. You can achieve this by having the ceremony reflect their personality and desires. Here are some suggestions to get you started! As for how to present that diploma, options range from a traditional stage-crossing ceremony to handing off the diploma baton-style in a tandem skydive. Literally, the sky is the limit. We just counted up to 21. (1) Consider renting a meeting room from a nearby university or hotel. If you’d like to create a ceremony program, here are five homeschool graduation program templates. (2) Don’t know what to say at a homeschool graduation? Invite a guest speaker, which could be a beloved relative, local public servant or celebrity. (3) Encourage the graduate to display performing arts talents and give a homeschool graduation speech. These elements work beautifully within the context of combined graduation and worship service. The added benefit is including your entire church family in the proud moment. Maybe your graduate’s idea of dressing up is shorts and flip-flops, and putting him in a suit and tie would be a special sort of torture. (4) Just roll with it and plan a homeschool graduation at home. Consider a pool party, backyard BBQ or get-together at the park. A short but sweet presentation can be sandwiched between sand volleyball, frisbee golf and some hilarious graduation-themed games. You can also create a graduation event like none other by thinking outside the box. 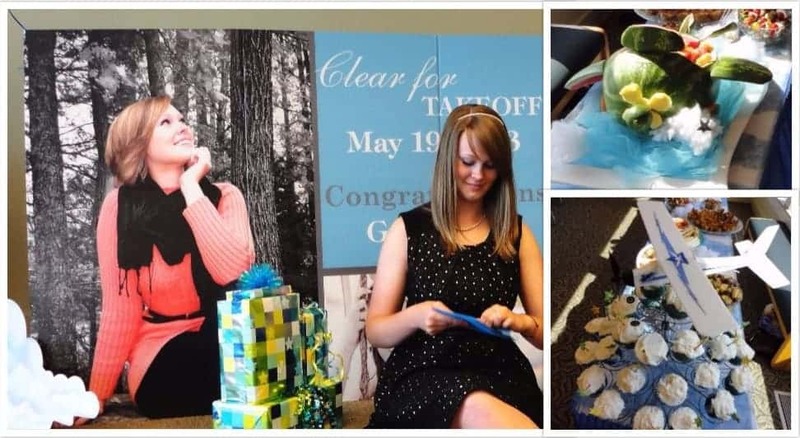 (5) Make the day part ceremony and part graduation gift with a unique, culminating experience. Has your student been learning a foreign language? Stage the ceremony where he or she can put that language to the ultimate test. (6) Maybe your student loved to research a particular historical period. What about a reenactment ceremony from Ancient Greece or Colonial America? (7) Other culminating experiences could include a Broadway show for the aspiring performance artist or visiting the Google campus for techies. Professional party planners—like our own THSC events team—can attest that starting with a theme is a great way to flesh out an event idea. After high school, my daughter was taking a gap year to get a pilot’s license, so we settled on a flying graduation theme. (8) For our “Clear for Takeoff” theme, we added cloud balloons from Amazon, topped with a jet airplane mylar balloon, a biplane watermelon filled with fruit salad, “partly cloudy with blue sky” punch, and we ordered a fairly inexpensive and huge sign from Shindigz.com. Now, in May 2018 for her college graduation, we went with (9) “The World is Your Oyster” and celebrated at a restaurant called Mermaids. A mound of golden, edible shells topped a two-tiered cake in sea-foam green with buttercream pearls all around. I gave her an assortment of travel-related items in a large clam shell container. And, in the center of the ensemble was a mother-of-pearl globe paperweight I bought from eBay for $26. Where there are oysters … well, someone once told me that every girl needs a strand of pearls. Even if you have a dozen kids, make every graduation special and tailored to the student. It doesn’t have to break the bank, but just the fact that you clearly put great thought and effort into personalizing the experience will make it memorable for your student. What are some of your homeschool graduation ideas, experiences or tips you picked up from other homeschool families? Share them in the comments section below.